, with MercerBell, The Monkeys, The Works and Banjo all acquired in the last 18 months. Smith isn’t worried by the shrinking independent landscape, saying he has no plans to give up his agency. “The independent realm is quite healthy,” he said. Apparent sees positioning itself as a true customer experience agency as key to its success, rather than chasing expansion overseas. “There are agencies that have rebranded as CX agencies and you question whether they are actually doing anything different,” he said. “CX goes back to direct marketing, which was about finding the right message through the right channel to get the right person. While Apparent has no ratios to maintain a healthy gender balance it has still managed to build a leadership team that’s 80% female. “The focus of diversity on our instance is focus on diversity of thought and capability, as well as gender,” he said. As a result of the flexibility the agency has provided its employees, eight out of 10 people in its leadership team are women, including its general manager Suzy Smiley. Independent agency Apparent is a comparatively small player in the game, but boasts clients across Europe and Asia. Initially founded as a strategy and training based business, Apparent rebranded and relaunched as a customer experience agency after seeing opportunity in the market in 2010. It’s since grown considerably, doubling its team to more than 70 in the past two years and has no plans on slowing down. 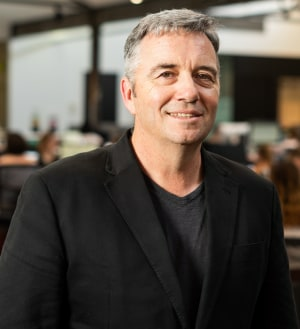 Speaking to AdNews, Apparent CEO Phillip Smith said being a Sydney agency gives it the upper hand with clients in international markets, such as the US. For this reason, it wouldn't pursue opening an office in other markets. Unusually, nearly half of the agency’s revenue comes from the US and other nations and it has clients such as Campari Group, Nikon, VMware and a global tech company that it can't name. Ex-Ogilvy Interactive managing director Smith said while its global footprint is driving a lot of activity, he feels more confident sticking with his Sydney office. “There’s conversation about opening a US office, but in reality if we did we’d lose things our clients value,” he said. Smith explained Apparent’s ‘follow the sun’ model, which gives it a few hours to get ahead of clients in international markets. “When the team gets to work in the morning, its 12.20pm in California so when the client gets to work they have all morning to review the work and give feedback,” he said. The US isn’t the only market Apparent has been able to crack into, with members of its team regularly travelling to cities such as Mumbai, Shanghai and Barcelona. Its busy team is a sign there’s still demand for independents despite some other market views that the days of independents are dwindling, with MercerBell, The Monkeys, The Works and Banjo all acquired in the last 18 months.